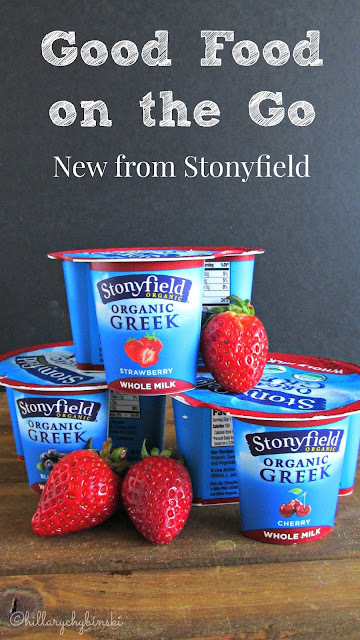 A big thank you to Stonyfield for sponsoring this post and for providing wholesome and delicious products I feel good about serving to my family. I have picky eaters. I have picky eaters that are athletes. 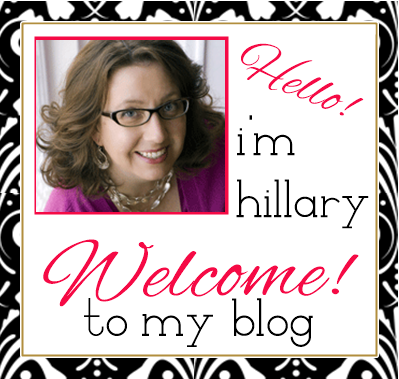 I have picky eaters, who are athletes, with crazy-busy schedules. Anyone feel me?? I don't think my situation is unique for moms these days. I think many of us are in the same boat of trying to feed kids while running them to various activities. Let's be honest, it's a challenge and that is why all these fast food type places do so well. We are busy, we are harried, we don't want more arguments than necessary. This is a no judgement zone. I hate the thought of feeding them something less than ideal because it's more convenient. Trust me, they eat enough junk, and we DO hit those places up every once in a while. You gotta live a little right, it's all about balance. But for the most part, I like to feed my family a home-cooked/prepared meal each night. But with everyone coming and going at different times, that's a challenge. 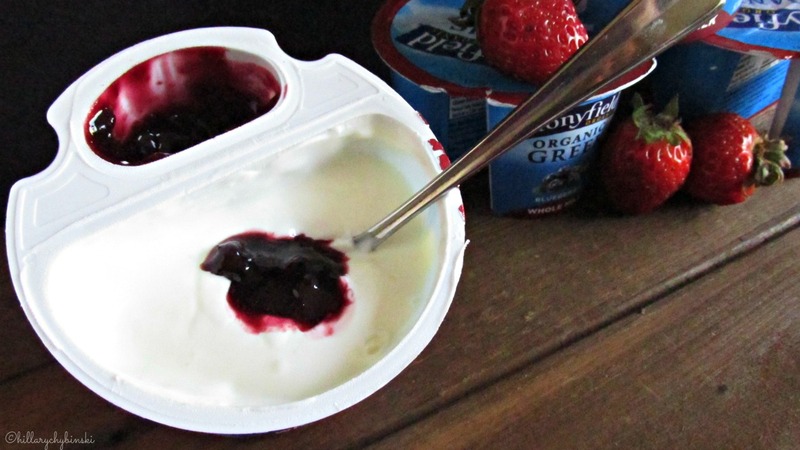 So I like to have some grab and go options available and one of my favorites that my kids will eat, is yogurt. They both still enjoy the Stonyfield yo-kids Squeezers, which are a lunch staple. They also enjoy the OP Organic Protein drink, but those are difficult to find in our area. So when Stonyfield sent me some of their new Whole Milk Greek, I encouraged the kids to try them. Guess what? They loved them! So did my husband and I. My favorite flavor is the Honey, while the kids like the Cherry and the Blueberry. The little "sidekick" of fruit allows you to add only as much as you want, which is a great feature. But why whole milk Greek? According to the folks at Stonyfield, consumers have been asking for whole milk Greek for a long time. The split cup design allows you to control your own sugar content. and also allows Stonyfield to keep the ingredient list very simple. For example, the only thing in the honey is... honey. If you take a look at the label, the overall sugar content is low compared to other Greek yogurts on the shelf as well. So this is a win-win all around here and I've been grabbing the cups to take to our lacrosse games for a pre or after game snack. My husband enjoys one for breakfast, and I like to have one as my late-afternoon snack. 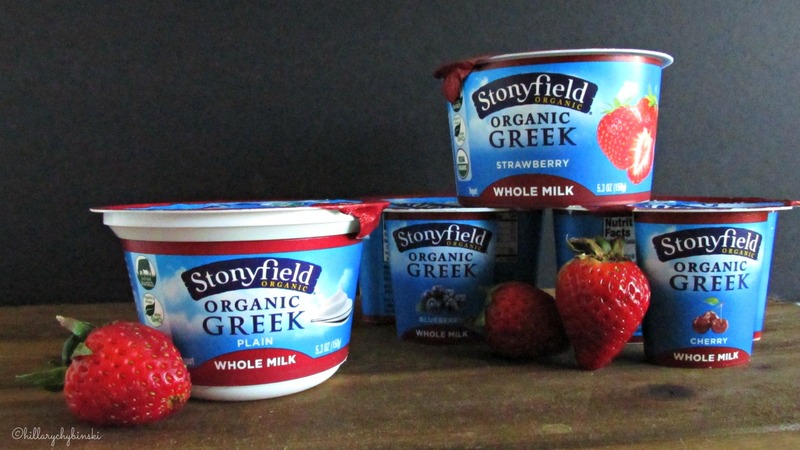 So as you can see, the Stonyfield Whole Milk Greek make a great snack or mini-meal anytime of the day. Not a whole milk fan? That's okay, Stonyfield offers an amazing selection of products and everything they make isn’t just delicious, it’s certified organic - made without the use of toxic persistent pesticides, artificial hormones, antibiotics and GMOs. 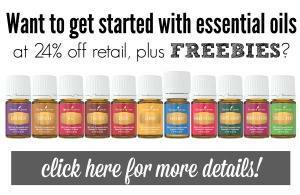 While they're at it, they support family farms and take care of the world around them too! What's your favorite Stonyfield product?